Readers may find helpful this recapitulation of recently-decided environmental law cases by the federal and state courts. The U.S. Supreme Court has issued two important rulings, and the court will be deciding important administrative law and Clean Air Act cases before the current term ends in June. Kansas and Nebraska share the waters of the Republican River that flow through their states, as well as Colorado. Their disputes resulted in the Republican River Compact, which the states agreed to in 1943 to fairly allocate the water resources of the Republican River; the Compact was approved by the Congress in appropriate legislation. In 1998, Kansas and Nebraska argued over Nebraska’s increased pumping of groundwater, which resulted from the construction of thousands of wells hydraulically connected to the Republican River and its tributaries. A Special Master was appointed to sort out these complaints, and a settlement was signed in 2002 which included new procedures to promote compliance with the Compact. After the experience of some lingering droughts, Kansas complained that Nebraska was exceeding its authorized allocation of water. Another Special Master was appointed, who determined that Nebraska had knowingly failed to comply with the Compact in consuming excessive amounts of Republican River water, and the Master awarded Kansas $3.7 million for its loss and an additional sum of $1.8 million against Nebraska as a “partial disgorgement”. Both parties filed exceptions to the Special Master’s report, which the Supreme Court approved in the latest Kansas v. Nebraska decision, decided February 24, 2015. Several members of the Court strongly disagreed over the determinations of Justice Kagan that “disgorgement” was proper. The Chief Justice, and Justices Thomas, Scalia and Alito argued that the Court’s equitable power was not sufficient to alter the Accounting Principles the states had agreed to in earlier settlements. For his part, Justice Scalia would forsake any resort to the writings of authors of the Restatement: “Over time, the Restatements’ authors have abandoned the mission of describing the law, and have chosen instead to set forth their aspirations for what the law ought to be”. Justice Thomas took the view that ordinary contract principles should have been applied to this dispute, which the majority ignored. Justice Thomas observed that this dispute involves the “inherent authority of sovereign states to regulate the use of water”, and that “authority over water is a core attribute of state sovereignty”. In a narrow 5 to 4 decision, the Supreme Court issued an important ruling affecting the enforcement of the federal conservation laws and the scope of the Sarbanes-Oxley Act, which was enacted in the wake of the Enron collapse and the destruction of financial documents that abetted its demise. The case is Yates v. United States, decided February 25, 2014. The Court reversed the opinion of the Eleventh Circuit Court of Appeals which affirmed the felony conviction of John Yates, a commercial fisherman who was suspected of having caught undersized red grouper in federal waters off the coast of Florida. The red grouper is a federally protected species, and the rules–located at 50 C.F.R. § 622.37–specify that undersized red grouper cannot be caught. A routine inspection of his vessel, the Miss Katie, disclosed evidence of undersized fish being caught, but this evidence was not present on the vessel when it returned to port–members of the crew stated that Yates ordered them to throw the offending fish overboard. Yates was charged with violating two federal statutes, including Section 1519 of the Sarbanes-Oxley Act (15 U.S.C. § 1519), which makes it a felony to conceal or destroy evidence of a “tangible object” with the intent of impeding a federal investigation of any sort. A conviction under Section 1519 is subject to a 20 year sentence and the lasting record of a federal felony conviction. At trial, Yates argued that a “tangible object” cannot be interpreted to include an object that cannot be used to record or preserve information that can be shredded to hide evidence of financial wrong-doing. This defense was rejected by the trial court and the court of appeals. Writing for the dissenting justices, Justice Kagan filed a vigorous dissent. As to whether a fish can be a “tangible object”, Justice Kagan references the work of Dr. Seuss, in particular, “One Fish Two Fish Red Fish Blue Fish” More seriously Justice Kagan argues that what really aggravates the majority is its distaste for the “over criminalization and excessive punishment in the U.S. Code”. However, the court cannot rewrite the law: “We are not entitled to replace the statute Congress enacted with an alternative of our own design”. On January 20, 2015, the U.S. Court of Appeals for the District of Columbia issued a ruling rejecting claims that the Deer Management Plan adopted by the National Park Service of the Department of the Interior to cope with the explosive growth in the numbers of white- tailed deer inhabiting Rock Creek Park, which runs through northwest Washington, DC, violated the federal laws establishing the park and providing for its management and protection. The case is Carol Grunewald, et al., v. Jonathan B. Jarvis and Sally Jewell, 2015 WL 304112. The park was created in 1890, at a time when very few white-tailed deer lived in the area. Today, the growth in their numbers has created significant problems for the Park Service, and in some instances imperils other flora and fauna. The Service adopted a plan to thin the numbers of these deer, which the court found to be reasonable and consistent with all relevant laws. In the case of State of Alaska v. U.S. Department of Agriculture, et al., 772 F.3d 899, decided November 7, 2014, the D.C. Circuit reversed the lower court’s dismissal of the State of Alaska’s challenge to the reinstated January 2001 “Roadless Rule” of the U.S. Forest Service that prohibits the construction and repairs of roads and timber harvesting on millions of acres in the national forests. The rule was repealed by the Forest Service in 2005, but the U.S. District Court for the Northern District of California issued a decision in 2006 reinstating the 2001 rule. In 2011, the State of Alaska filed its own challenge to the reinstated “Roadless Rule”, which the U.S. District Court for the District of Columbia dismissed as being untimely filed under 28 U.S.C. § 2401. On appeal, the D.C. Circuit holds that the 2006 action of the California district court effectively resulted in the issuance of a new rule, and created a new right of action in doing so. Accordingly, the ability of the State of Alaska to file this lawsuit was revived, and its lawsuit is timely. The case was remanded to the District Court for consideration of Alaska’s challenges to the rule. On January 21, 2015, the U.S. District Court for the District of Columbia rejected a challenge filed by several environmental groups protesting the action of the U.S. Export-Import Bank to guarantee a $90 million coal export loan granted to Xcoal Energy & Resources. The plaintiffs argued that the Bank’s failure to consider the adverse economic consequences attending the domestic production of coal for use in overseas markets as a result of this loan violated NEPA and the Administrative Procedure Act. The Bank was established in 1954 as an independent federal agency to facilitate the export of goods and services, and it has promulgated rules to fulfill its obligations under NEPA. However, the Bank conceded that at no time did it subject the request for a loan guarantee to an Environmental Impact Study or other environmental review. Nevertheless, the challenge failed because the court determined that none of the plaintiffs had standing to challenge this decision. The case is Chesapeake Climate Action Network, et al. v. Export-Import Bank of the United States, 2015 WL 267099. On January 9, 2015, the U.S. District Court for the District of Columbia approved a proposed consent decree that had been negotiated by Environmental Protection Agency (“EPA”) and the California Air Resources Board (“CARB”) that resolved the government’s claims that Hyundai and Kia Motors violated the Clean Air Act and the California Health & Safety Code by falsifying fuel economy and greenhouse gas emissions claims that affected more than 1 million vehicles sold in the 2012 and 2013 model years. It was alleged that there was a discrepancy in the information provided by the defendants in connection with the application for “Certificates of Conformity” and the actual specifications of the vehicles in that the vehicles provided lower fuel economy and emitted higher emissions than was stated in the applications. 126,000 vehicles were sold in California, and the $100,000, civil penalty–the largest yet recovered–was split between the U.S. Government ($93,700,000) and the State of California ($6,300,000). In addition, Hyundai agreed to forfeit 4.75 million greenhouse gas credits. The proposed settlement was published in the Federal Register, and several comments were received. Some of the commenters requested that Hyundai also provide $25 million of Supplemental Environment Projects in some states, but the United States rejected this request, arguing that to do so would unravel the settlement that had been negotiated. The decision is reported as United States of America, et al. v. Hyundai Motor Company, et al., 2015 WL 128597. On December 29, 2014, the U.S. District Court for the Eastern District of North Carolina held that the plaintiffs in a Resource Conservation and Recovery Act (“RCRA”)/Clean Water Act (CWA) Citizens Suit against the owners and operator of a swine farm had the right to have the case tried before a jury. The case is North Carolina Environmental Justice Network, et al., v. Taylor, et al., 2014 WL 7384970. It is alleged that the defendants illegally dumped swine waste into the waters and onto the lands surrounding the swine farm. The defendants challenged the demand for a jury trial, and both sides argued that a 1987 Supreme Court decision, Tull v. U.S., 481 U. S. 412, supported their positions. After reviewing the Tull case and other precedents, the court held that the Tull decision, which discussed the right to a jury trial when the federal government was seeking civil penalties, was a Seventh Amendment right available to either side in a Citizen Suit case. Also on January 27, 2015, the U.S. District Court for the Southern District of West Virginia again held that the waste water discharges of a mining operation in the coal mining areas, were subject to a CWA Citizen Suit. The court held that the defendant’s discharges violated its National Pollutant Discharge Elimination System (“NPDES”) permits by discharging “high levels of ionic pollution, as measured by conductivity”, which caused or significantly and adversely affected the receiving stream’s aquatic ecosystem. Although West Virginia has not promulgated any numeric values for this kind of pollution, the discharge violated the state’s “narrative water quality standards” that are incorporated in the NPDES and companion state Surface Mining Control and Reclamation Act permits. The case is Ohio Valley Environmental Coalition, Inc., et al., v. Fola Coal Company, LLC, 2015 WL 362643. The defendant is not entitled to a CWA permit shield defense, and a recent unpublished West Virginia Supreme Court ruling which apparently disregards the “narrative water quality standards relied on by the plaintiffs, was not persuasive to the court. On January 14, 2015, the U.S. Court of Appeals for the Fifth Circuit decided an important Comprehensive Environmental Response, Compensation, and Liability Act (“CERCLA”) liability case: Vine Street LLC v. Borg Warner Corp., 2015 WL 178981. The Court held that as a result of a 2009 decision of the U.S. Supreme Court, Burlington Northern & Sante Fe Railway Co., et al., v. United States, reported at 556 U.S. 599, Borg Warner was not liable to Vine Street for CERCLA cleanup costs under a theory of “arranger liability”. Vine Street is the current owner of property in Tyler, Texas that once had been home to a dry cleaning enterprise that used the chemical Perchloroethylene (also called PERC) in its day to day operations, and some quantities of PERC were released by the dry cleaner’s facilities, contaminating local soil and groundwater, which has necessitated an expensive cleanup. A former subsidiary of Borg Warner, Norge, provided an initial supply of PERC to the dry cleaner, and also furnished dry cleaning equipment and design assistance. Before the Burlington Northern case was decided, these facts could have made Borg Warner a “responsible party” under CERCLA. However, since Norge never intended to dispose of any hazardous substances in these business transactions, under Burlington Northern precedent, Norge was not a responsible party and neither is Borg Warner. Finally, the plaintiff’s claims under the Texas Solid Waste Disposal Act also fail, because the Fifth Circuit earlier decided that the Burlington Northern case applies as well to the use of the Texas Solid Waste Disposal Act to establish cleanup liability. On November 5, 2014, a panel of the U.S. Court of Appeals for the Fifth Circuit refused to reconsider its June 2014 decision affirming the district court’s decision that BP PLC and Anadarko Petroleum Corporation can be held liable for violating the CWA in connection with the massive Deepwater Horizon oil spill in the Gulf of Mexico. The case is In re: Deepwater Horizon. BP and Anadarko owned and operated the well, but they argued that the floating rig, owned and operated by Transocean (which has already settled its liability) and not the well was the source of the oil spilling into the Gulf of Mexico. In the earlier ruling, the panel held that under the plain terms of the CWA, the defendants were liable because “there was no dispute of material fact that controlled confinement of oil was lost in the well”, and that the well “was a point from which oil or a hazardous substance was discharged”. BP and Anadarko argued that it was the Deepwater Horizon rig and its appurtenances constituted the point at which control of the oil was in fact, lost. On January 9, 2015, the Court issued another ruling, rejecting the petitioners’ request for a rehearing en banc. The vote rejecting the petition was surprisingly close, 7 to 6, with two abstentions. See 755 F.3d 741. In a vigorous dissent, Judge Clements stated that the denial of the petition “ensures that our precedent concerning liability for oil spills under the Clean Water Act remains unclear”. The panel’s “controlled confinement” test does not follow from the text of the CWA, and, moreover, Fifth Circuit precedent in ambiguous civil penalty cases should be resolved in favor of the defendant, and this precedent was not followed here. On June 30, 2014, the U.S. Court of Appeals for the Fifth Circuit reversed the lower court’s determination that the State of Texas’ administration of its water management authority violated the Endangered Species Act (“ESA”), which protects the Whooping Crane, by failing to ensure that adequate supplies of fresh water flowed into the river serving the Aransas National Wildlife Refuge, located along the South Texas coast. To remedy the situation, the lower court ordered state officials to refrain from approving or issuing new water permits until the State of Texas persuaded the court that such permits and the water they withdraw from the river will not amount to a “taking” of whooping cranes in violation of the ESA. In Aransas Project v. Shaw, et al., 756 F.3d 801 (2014), the Fifth Circuit held that the lower court utilized an erroneous standard of proof, in that it failed to observe the foreseeability and proximate cause elements required for such ESA liability determinations established by the Supreme Court in the 1995 decision in Babbitt v. Sweet Home Chapter of Communities for a Greater Oregon, 515 U.S. 687 (1995). This decision is significant because it describes the standard of proof that must be met in many ESA-takings cases where the link between a government action (typically a permitting action) and the taking of a threatened or endangered species must be established in court. In this case, the appeals court held that the connection between state permitting actions, the water usage of hundreds of licensed users and the impact of a historic drought was too remote to establish liability for the state. A petition for rehearing and rehearing en banc was submitted to the court, which was denied on December 15, 2014. However, four of the 15 judges on the en banc court considering the petitions dissented, with Judge Prado filing a strong dissenting opinion. Judge Prado took issue with the panel’s “reweighing” of the factual findings of the lower court, which Judge Prado described as “evincing an alarming lack of trust in the work of our colleague in the district courts”. A further appeal to the Supreme Court is likely. On February 13, 2015, the U.S. District Court for the Eastern District of Louisiana dismissed a major lawsuit that was filed by the Board of Commissioners of the Southeast Louisiana Flood Protection Authority–representing a number of local South Louisiana levee boards–against 88 oil and gas companies operating in South Louisiana for many years. The lawsuit, originally filed in state court and then removed to the federal courts, alleged that the defendants’ operations in the areas subject to the jurisdiction of the levee boards–in particular the construction and operation of canals facilitating their enterprises–caused significant coastal erosion which in turn caused the destruction of thousands of acres of coastal lands that had protected South Louisiana by serving as a buffer against extreme weather conditions. In addition to the construction and operation of the canal system by the defendants, the plaintiffs identified a number of other oil and gas operations and activities that drastically affected the “natural hydrological pattern and processes of the coastal lands”. The plaintiffs pled six causes of action based on the unique features of Louisiana law as well as federal law: negligence; strict liability; natural servitude of drain; public nuisance; private nuisance; and breach of contract–third party beneficiary. The court, in a long and very interesting opinion responding to a plethora of cogent and well-argued pleadings by both parties, dismissed this lawsuit. The Court held: (a) that none of the federal permitting statutes governing the lawsuit–the Rivers and Harbors Act, the CWA of the Coastal Zone Management Act-imposed a standard of care upon the defendants for the benefit of the plaintiff levee boards, and consequently the plaintiffs had not stated a viable claim for negligence; (b) the plaintiffs, seeking injunctive relief and damages from the defendants, under a theory of strict liability under Louisiana law, did not state a viable claim for strict liability; (c) the plaintiffs did not and cannot state a viable claim under Louisiana law for “natural servitude of drain”; (d) the plaintiffs’ claims based on allegations of public and private nuisance for public and private nuisance were dismissed because they did not satisfy the requirements of Louisiana law; and (e) the plaintiffs cannot succeed on a claim that the levee boards are the intended third party beneficiary of the many federal operating permits granted to the defendants over the years. The case is Board of Commissioners of the Southeast Louisiana Flood Protection Authority-East, et al., v. Tennessee Gas Pipeline Company, LLC, et. al., 2015 WL 631348. The presiding judge is the Honorable Nannette Jolivette Brown. On December 17, 2014, U.S. District Judge David Hittner issued a long (82 pages) and complex ruling rejecting all of the claims for relief requested by Environment Texas Citizen Lobby and the Sierra Club against ExxonMobil Corporation. 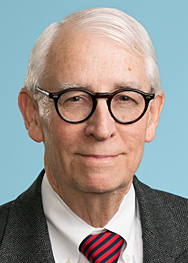 Judge Hittner conducted a 13 day non-jury trial in this case, in which the plaintiffs requested a declaratory judgment, penalties of $643,000,000 and the appointment of a Special Master to oversee Exxon’s compliance with the injunction that was requested with respect to the huge petrochemical complex operated by Exxon in Baytown, Texas. Judge Hittner described the complex as having a “vast array of equipment, including roughly 10 thousand miles of pipe, 1 million valves, 2500 pumps, 146 compressors and 26 flares. It employs over 5000 people including a large environmental staff. The complex operates under Clean Air Act permits issued by the TCEQ, and “taking all permit conditions together, the complex is regulated by over 120,000 permit conditions related to air quality, each of which is tracked…for compliance purposes”. Consequently, the emissions emitted by the complex have been sharply reduced over time, and the TCEQ generally seems to view Exxon as making good faith efforts to comply with the requirements of the law. The court noted that Exxon had earlier settled allegations of violations with the TCEQ and Harris County, amounting to $1.4 million. Judge Hittner reviewed the allegations and proof made by the plaintiffs in exhausting detail, and concluded that there were very few “actionable” violations established by the Sierra Club, and any penalties assessable under the Clean Air Act as a result of this lawsuit were more than offset by the penalties already paid by Exxon to the TCEQ and Harris County. Judge Hittner found that the allegations made were not supported by the evidence (mostly compiled in spreadsheets submitted to the court), their expert witnesses, and the testimonial evidence of a few residents living or who visit the area. He then evaluated his findings against the penalty factors provided in the Clean Air Act, and concluded that “the most reasonable estimate of Exxon’s economic benefit of noncompliance is $0”. The plaintiffs in this case sued a number of refineries in the Houston area, but Exxon chose not to settle, and mounted a very strong defense in this case. Because of these findings, Judge Hittner declined to address the affirmative defenses mounted by Exxon. The case is Environment Texas Citizen Lobby, Inc., v. ExxonMobil Corporation, et al., 2014 WL 7177794. On December 1, 2014, the U.S. District Court for the Eastern District of Louisiana (Judge Zainey presiding) issued a ruling in the case of The Parish of Plaquemines v. Total Petroleum & Refining USA, Inc., et al., 2014 WL 6750649 The court granted the motion of the Parish to remand to state court a lawsuit filed by the Parish against several major oil companies (among them being BP, ExxonMobil, Shell, Chevron, Total, Devon, and Burlington) who the Parish alleges have caused substantial environmental damages to the land and water bodies located within the Louisiana Coastal Zone boundaries of Plaquemines Parish. These companies, over the course of many years, have conducted their operations pursuant to more than 1000 state coastal zone permits, which they are alleged to have violated. The case was filed in state court, but the defendants attempted to remove this litigation to federal court. They argued that removal was justified on the basis of diversity, the Outer Continental Shelf Lands Act (“OCSLA”), general maritime law, and federal enclave jurisdiction (some of the areas are also located in federal nature preserves). The Court rejected all of these arguments in a careful and a lengthy opinion. The ability of the Parish to pursue this litigation was challenged, but the court determined that the relevant Louisiana statutes authorized the Parish to bring this lawsuit which pertains to activities conducted within the jurisdictional boundaries of the Parish. There is a suggestion that the Louisiana Attorney General does not concur with this legal action, but very little discussion is provided on this matter. The defendants also argued that a recent decision of the Fifth Circuit in a Deepwater Horizon matter (reported at 745 F.3d 157) clarified the reach of federal jurisdiction embodied in the OCSLA, but the court pointed out that that case involved natural resource damage claims emanating from oil spills on the OCS–and that is not the case here. Finally, the maritime and federal enclave arguments were unsuccessful. The matter will be returned to the state courts–unless there is an appeal to the Fifth Circuit. By state law, the Parish must expend any damages recovered to enhance coastal protection and recovery issues. The Sixth Circuit Court of Appeals has ruled that ICG Hazard, LLC’s CWA general permit defense, located in the CWA at 33 U.S.C. 1342(k), shielded the mining company from a CWA enforcement lawsuit filed by the Sierra Club. The case is Sierra Club v. ICG Hazard, LLC, 2015 WL 643382, decided January 27, 2015. Relying on the Fourth Circuit Court of Appeal’s 2001 ruling in The Piney Run Preservation Association v. County Commissioner of Carroll County, Maryland, et al., 268 F.3d 255 (4th Cir. 2001), a divided panel of the Court of Appeals held that the general permit issued pursuant to delegated authority by the Kentucky Division of Water shielded ICG Hazard from this lawsuit. The pollutant in question is selenium, and the Court of Appeals held that the agency was aware of the potential for discharges from ICG Hazard’s surface mining operations. The Court of Appeals also held that the permit shield applies to both individual and general NPDES permits. Moreover, the provisions of the CWA presumably trump contrary provisions of Surface Mining Act. There may be a case to be made that arguably there is now a split in the circuits on this issue. On July 11, 2014, the Fourth Circuit a Court of Appeals, in the case of Southern Appalachian Mountain Stewards, et al., v. A & G Coal Corporation, rejected this defense, holding that the defendant coal company, in seeking an NPDES permit from the Virginia permitting authority, failed to provide the agency with adequate information regarding its potential discharge of selenium. The decisions in these cases may turn on the nuances of each state’s permit application requirements, which may yield inconsistent results. A catastrophic flood inundated large sections of Nashville, Tennessee in May 2012, resulting in many lawsuits being filed against the U.S. Army Corps of Engineers with respect to the Corps’ operation of the Old Hickory Dam. The dam is located on the Cumberland River, and water that flows through this river and the Old Hickory Dam eventually reaches Nashville. The lawsuits were consolidated, and the plaintiffs included Gaylord Enterprises, the Opryland Hotel, the Grand Old Opry, the Gibson Guitar Corporation, other hotels, businesses and insurance companies. The plaintiffs alleged that the Corps negligently failed to adhere to its flood control protocols, thus exacerbating the property damages caused by the floodwaters. The lower court dismissed these cases, and, on December 18, 2014, the U.S. Court of Appeals for the Sixth Circuit affirmed this ruling. The court held that the “discretionary function” exception in the Tort Claims Act (28 U.S.C. § 2680) bars recovery from the Corps, even though the plaintiffs were especially critical of the Corps’ decision not warn downstream residents that a large amount of water would be discharged from the dam because of the heavy rains that fell in the area. The case is A. O. Smith Corporation, et al., v. United States, 774 F.3d 359. On January 27, 2015, the U.S. District Court for Minnesota granted summary judgment to EPA and two environmental groups defending EPA’s decision to release personal data submitted by a group of Concentrated Animal Feeding Operation (“CAFO”)-farm facilities who were also applicants for Minnesota wastewater discharges. The case is American Farm Bureau Federation and National Pork Producers Council v. EPA, 2015 WL 364667. However, on February 6, 2015, the District Court released an Amended Protective Order pursuant to an agreement reached by the plaintiffs and defendants to limit the disclosure of the confidential information that is at issue in this case. The Order was released over the objections of the Intervenors (Food & Water Watch, Environmental Integrity Project, and Iowa’s Citizens for Community Improvement). The “farm information” that had been collected by EPA in connection with a proposed NPDES CAFO Reporting Rule included the names and addresses of famers and their family members, social security numbers email addresses, inspection records and communication records constituting communications between a farmer, the EPA or a relevant state. Some of the information that had been released to the Intervenors pursuant to 2012 FOIA requests had been made available to the general public, which concerned the plaintiffs in this case. The Order places restrictions on the use and dissemination of the “farm information” during the litigation of this case. On January 26, 2015, the U.S. District Court for the Central District of California, ruling on a series of motions, held that the former owners of a 21 acre contaminated site located in Los Angeles that had later been purchased by the Housing Authority of the City of Los Angeles (“HACLA”) were responsible parties under CERCLA. The former owners operated a steel mill and other industrial operations, resulting in the massive release of hazardous substances, i.e., slag and dust particles, to the environment during the ownership and control of the defendants. The case is HACLA v. PCC Technical Industries, et al. In a very long opinion (111 pages), making rulings on motions for summary judgment and the controverted exclusion of expert witness testimony, the U.S. District Court for the Eastern District of Washington held that the manure management practices of a number of large dairy operations in Washington State generated dangerous amounts of what the District Court determined to be solid waste regulated under the RCRA. In doing so, it concluded that the defendants in a RCRA Citizen Suit have violated RCRA’s open dumping and substantial and imminent endangerment prohibitions. The case is Community Association for the Restoration of the Environment, Inc., et al., v. Cow Palace, LLC, et al., and this decision was issued on January 14, 2015. See 2015 WL 199345. This ruling makes the point that even innocuous, non-hazardous waste management practices can have adverse consequences if the waste is not properly managed and monitored for compliance. The defendants’ large herd of dairy cattle generates huge quantities of manure, which is stored in lagoons and used as fertilizer, arguably in accordance with a Washington State Dairy Nutrient Management Plan. According to the District Court, the evidence presented convinced the court that these large amounts of manure–the defendant Cow Palace needs to manage at least 100 million gallons of manure every year–have overwhelmed the management systems in place and must be designated as a “solid waste” subject to RCRA. (This may be the first time manure has been so designated). The storage lagoons leak, the fields have been over fertilized, and there is considerable evidence in the record that local soil, surface water and ground water have been contaminated. The next stage of the trial will focus on what remedies are appropriate. On January 7, 2015, the U.S. District Court for the Central District of California held that California’s ban on the sale in California of foie gras–a delicacy made from fattened and force-fed duck liver–was preempted by federal law, namely the Poultry Products Inspection Act (“PPIA”), 21 U.S.C. §§ 451-470. The case is Associations Des Eleveurs De Canards et al v. Kamala Harris, Attorney General of California, 2015 WL 191375. The plaintiffs, a group of Canadian farmers, alleged that this ban has caused them to lose millions of dollars in sales in California, and the court held that they had standing to bring this lawsuit. The Court then reviewed the California statute (enacted in 2012) and the provisions of the PPIA, and determined that the California law conflicted with and was preempted by the federal law, which regulates the distribution and sale of poultry products in interstate commerce. On November 26, 2014, the U.S. District Court for Hawaii issued a ruling holding that a Hawaii County Ordinance purporting to place restrictions on the “open air cultivation, propagation development or testing of genetically engineered crops or plants” was preempted by state laws empowering the Hawaii Department of Agriculture to control “noxious weeds”. In addition, provisions of the Federal Plant Protection Act preempts the County’s attempt to ban open air field testing. The case is Hawaii Floriculture and Nursery Association, et al., v. County of Hawaii, 2014 WL 6685817. On November 25, 2014, the U.S. District Court for Alaska granted a preliminary injunction enjoining and restraining EPA and the EPA Regional Administrator from taking any actions under their authority under Section 404(c) of the CWA regarding the proposed mining project of the Pebble Limited Partnership in the Bristol Bay watershed. The project is very controversial; it will require an Army Corps of Engineers permit that will itself be subject to EPA oversight. No permit application has been filed, but EPA argues that it has authority under the CWA to take its own preemptive action to halt the project.. The Pebble Limited Partnership has alleged that EPA’s association with a number of public interests groups that oppose this project violates the Federal Advisory Committee Act. EPA and DOJ vigorously dispute these allegations, but the court has now ruled that Pebble may have a case with respect to a group that the court calls the “anti-mine assessment team.” A fairly quick resolution of the controversy is promised by the court. The case is Pebble Limited Partnership v. EPA. On February 4, 2015, the District Court held that California’s state Brownfields law does not expose a group of oil companies to any liability for selling MTBE-containing gasoline to service stations with leaking storage tanks. The case is City of Merced Redevelopment Agency v. Exxon Mobile Corp., et al. On January 19, 2015, the U.S. District Court for the District of New Mexico held that a local ordinance enacted by Mora County, New Mexico prohibiting all oil and gas activity in Mora County could not be enforced because it is unconstitutional. The case is SWEPI, LP v. Morse County, New Mexico, 2015 WL 365923. On January 29, 2015, the Eleventh Circuit Court of Appeals affirmed the lower court’s ruling that a large environmental consulting firm could not claim federal research tax credits for research it performed in carrying out environmental consultation agreements. The case is Geosyntec Consultants, Inc., v. United States. On February 6, 2015, the Texas Supreme Court issued a unanimous opinion in the case of Environmental Processing Systems, L.C., v. FPL Farming Ltd., reversing the Court of Appeals for the Ninth District of Texas’s finding that EPS had the burden of establishing an affirmative defense that it had the landowner’s consent, and that Texas recognizes a common law trespass cause of action for deep subsurface water migration. The environmental and property rights issues affected by deep subsurface wastewater disposal are important to the oil and gas industry as well local and state government permitting agencies and environmental groups. The EPS case involves claims that contaminated wastewater disposed by EPS in accordance with its deepwater injection well permit had migrated into the deep subsurface groundwater located beneath FPL’s adjacent property. FPL sued EPS for injunctive relief, damages for trespass, and unjust enrichment. The jury hearing the case decided that EPS had not trespassed onto the land and property of FPL, in accordance with a jury instruction that there cannot be a trespass if the landowner has consent to the incursion. The jury also rendered a verdict in favor of EPS on all other claims, resulting in a “take nothing” judgment against FPL. The intermediate Court of Appeals, in 383 S.W.3d 274, 289 (Tex. App.–Beaumont 2012), then reversed. The Texas Supreme Court, after reviewing its trespass law decisions that have been issued beginning with the inception of the Republic of Texas, held that the plaintiff in a trespass cause of action has the burden of proof to establish there was no consent–it is an element of the cause of action and not an affirmative defense the defense must establish. Since EPS prevailed at trial, there is no need for the Court, at this time, to decide whether Texas law recognizes a trespass cause of action for deep subsurface wastewater migration. The Court declined to issue a ruling on whether there is a common law trespass cause of action in Texas for subsurface contamination from wastewater well disposal practices. While the Court has sidestepped the resolution of this issue, the Texas Legislature could, of course, enact appropriate corrective legislation. Responding to a certified question from the U.S. Court of Appeals for the Fifth Circuit, the Texas Supreme Court rules that BP is not an “additional insured” under Transocean’s primary and excess insurance policies for the subsurface pollution resulting from the April 2010 explosion on Transocean’s oil-drilling rig, the Deepwater Horizon. The majority opinion was written by Justice Guzman; Justice Johnson was the only dissenter in an 8 to 1 decision. The parties to the litigation agreed that these insurance policies are governed by Texas law. The case is In re: Deepwater Horizon, Relator, Case No. 13-0670, decided February 13, 2015. Apparently, the amount of insurance at issue is $750 million. After the explosion, BP made a demand for coverage based on its status as an “additional insured” under these policies, and the terms of the drilling contract, but the U.S. District Court for the Eastern District of Louisiana rejected this argument, holding that BP was not entitled for insurance coverage for subsurface pollution liabilities associated with the Deepwater Horizon incident. An appeal was made by BP to the U.S. Court of Appeals for the Fifth Circuit, and the lower court’s decision was reversed. However, on rehearing, the Court of Appeals withdrew its initial opinion and certified two questions to the Texas Supreme Court for an authoritative decision on Texas law. See In re: Deepwater Horizon, 728 F.3d 491 (5th Cir. 2013). The Texas Supreme Court determined that only one of these questions required its determination. Please note that the Texas Supreme Court heard oral argument on January 15, 2015 in San Jacinto waste pits case, and has scheduled oral argument on March 25, 2015 in the BCCA Appeal Group, Inc., v. City of Houston. The lower court opinion can be found at 2013 WL 4680224. On January 14, 2015, the Eighth Court of Appeals sitting in El Paso issued a ruling in Lazy R Ranch, LP et al., v. ExxonMobil Corporation, 2015 WL 181651. The Court reversed a “take nothing” summary judgment ruling by the trial court which heard a case in which the plaintiff landowners-ranchers alleged that ExxonMobil’s oil and gas operations on their land resulted in extensive contamination, which will require over $6 million to remediate. Despite the fact that there were significant factual issues to be determined, the trial court’s ruling was issued without any explanation. Consequently, the case is returned to the trial court so that such matters as the application of the applicable statute of limitations can be determined. On February 12, 2915, the Ninth Court of Appeals, sitting in Beaumont, issued a ruling in Texas Rice Land Partners, Ltd. v. Denbury Green Pipeline, 2015 WL 575179. Denbury claims that it is a common carrier pipeline, and it is empowered under state law to exercise powers of imminent domain. Reversing the trial court, the Court of Appeals hold that once the common carrier status is controverted, that issue must fundamentally be decided by a jury. On February 5, 2015, the Fourteenth Court of Appeals, sitting in Houston, issued a ruling in the case of Bigham and Hollister v. Southeast Texas Environmental, LLC, 2015 WL 495304. The case involves plans to pursue environmental contamination litigation against third parties in connection with the notorious Malone Site located on Galveston Bay. Southeast Texas formulated plans to buy the Malone Site out of bankruptcy and use the closed facilities to convert hazardous waste into various products. Unfortunately, after purchasing the site, EPA declared the site to be a Superfund site, and thus Southeast Texas would be liable as a potentially responsible party based on its ownership of the site. As an innocent party, however, Southeast Texas could bring contribution actions against third parties, and formulated plans to this effect, and engaged the defendants. Their relations soured, and litigation between these parties resulted. Southeast Texas was awarded $2.6 million in damages, a jury verdict that was rejected by the Court of Appeals for lack of evidence.